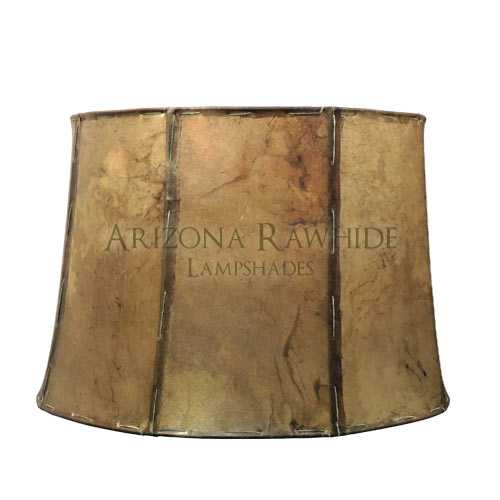 Rawhide lamp shades are works of art perfect for western, lodge/cabin lighting and rustic decor. You don’t have to settle for paper or faux materials when genuine hand laced rawhide shades are not only beautifully functional...but affordable too. 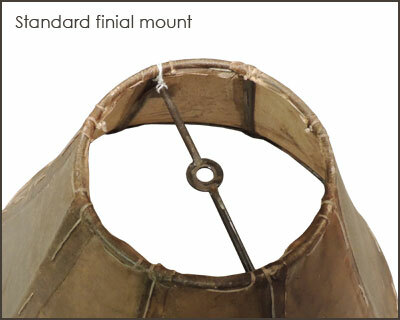 Rawhide leather lamp shades have no equal for character and charm in rustic decor. These rawhide shades are hand-made by craftsman using new techniques to the industry. A securely welded frame and hand stretched rawhide pieces creates a beautiful one of a kind, elegant looking shade. The translucent character of the rawhide allows light to emanate from within to create a wonderful natural atmosphere, perfect for warm, friendly and inviting southwest, western and country decor. Air conditioning and excessive heat can take its toll on rawhide shades of any kind. Along with regular conditioning, using a CFL bulb rather than a traditional incandescent bulb to protect against these drying effects. Modern CFL bulbs have very nice light and produce a fraction of the heat, while saving energy too. Choose a 14 watt CFL (equivalent to 45w standard) bulb or less for most standard uses. 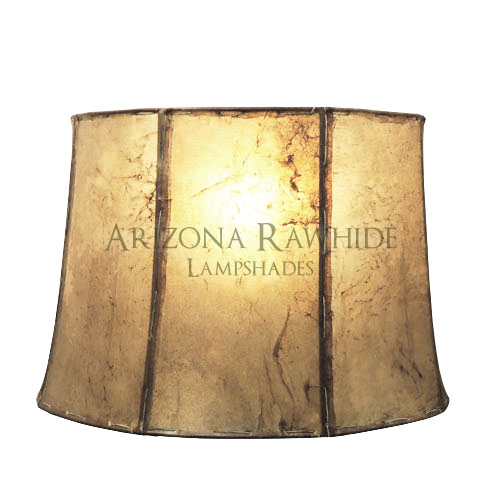 Copyright Arizona Rawhide Lamp Shades. All Rights Reserved. eCommerce Software by 3dcart.